For those of you that want to support Young Justice and only own the Nintendo Consoles, you may be out of luck. 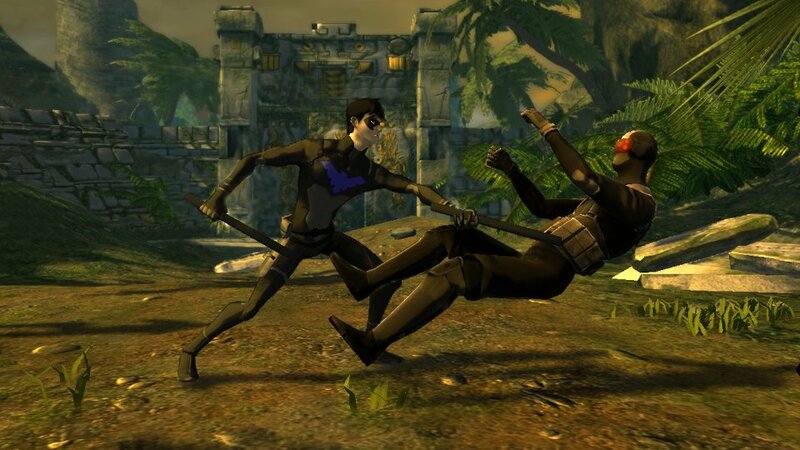 It was recently announced that Young Justice: Legacy will no longer be coming out for the Wii and Wii U. What does this mean? Well, you will have to play it on something else. It will still be coming out for the PS3, Xbox 360, Nintendo 3DS, and PC. The Steam version is sure to be popular with the online community that has supported the series. I had a pre-order on a Wii U copy, but I will have to divert those funds elsewhere. Why did this happen? Let’s be honest here, this is not the first multi-platform game to drop the Wii and Wii U. The systems are so different that it is both expensive and time-consuming to program a game for them. This may not be the biggest issue for big developers, but a small one like Little Orbit can’t make this gamble. This isn’t even a high-profile game and we have seen bigger titles essentially fail on the Nintendo systems comparatively. Am I disappointed? Yes because I love my Wii U, but there are other options out there for me. I truly feel bad for people who only own a Wii and/or Wii U and want to play the game. At least it is still coming out.